This was a fortuitous shot in the sense that discovering it was an accident, but getting it just right once I caught onto the concept took some work. 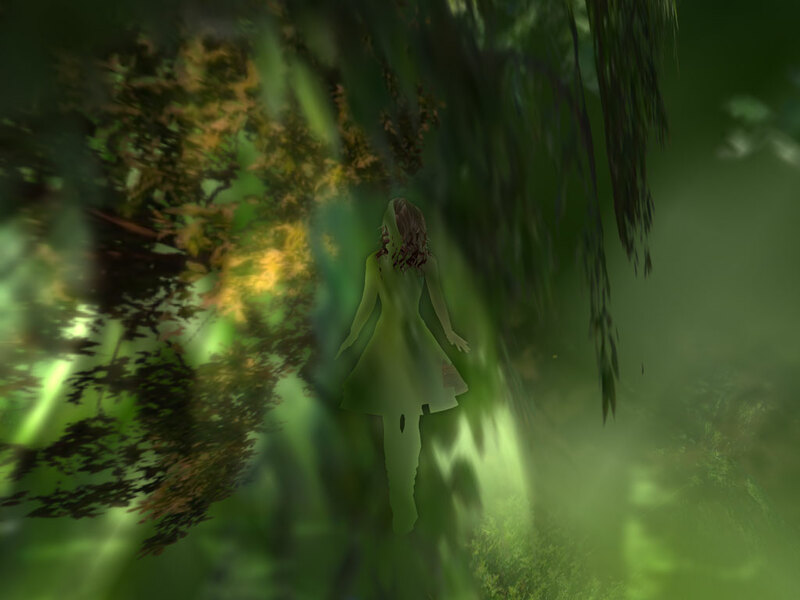 This is just on the outside edge of the Silvanus Dream Forest, and I fell off the edges, I tried to get back in, but the trees and textures would not allow me. Suddenly, I noticed that I could see though the plants. I’ve long made use of shooting though alpha, but this particular approach, of going though layered alphas, and coloured ones at that was new to me. I very much enjoy this shot.